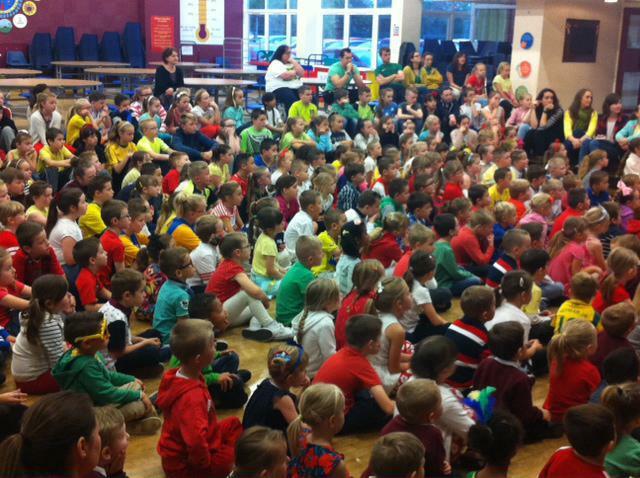 At the start of our special assembly we wanted to make sure our Brazilian visitors had the warmest welcome possible. 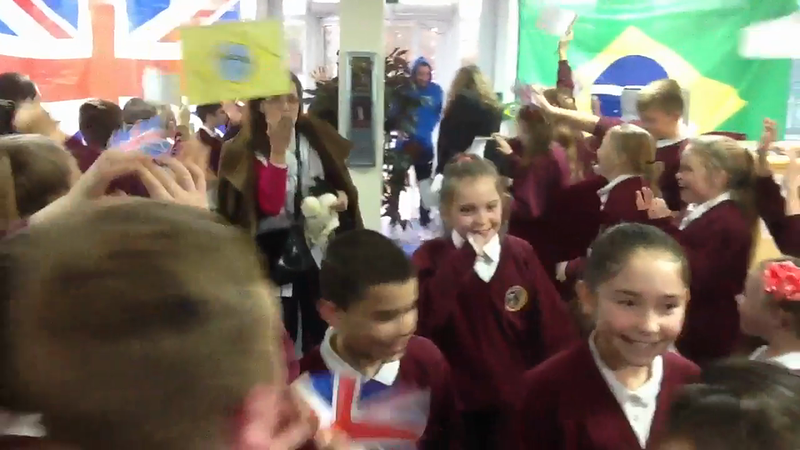 Our corridors were lined with Y2, Y5 and Y6 children who greeted the visitors in English and Portuguese as well as waving flags in both countries colours. Our visitors (Maristela, Jusiani and Cicero) we're the shown to their special seats by our head boys and girls ready for the Brazilian national anthem. 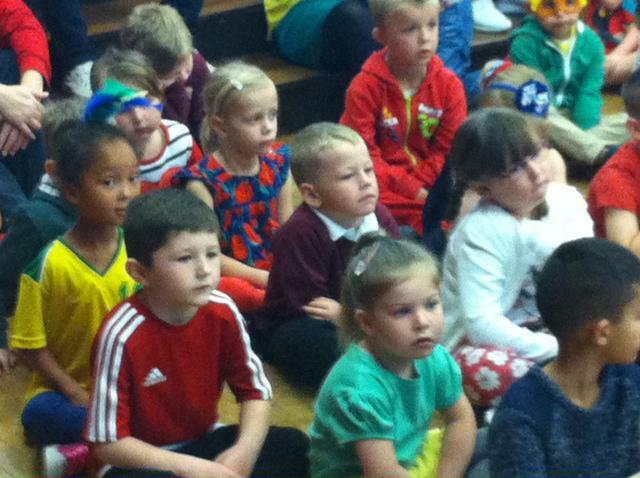 We stood up to show our respect for the Brazilian national anthem, and our Brazilian visitors sang along. 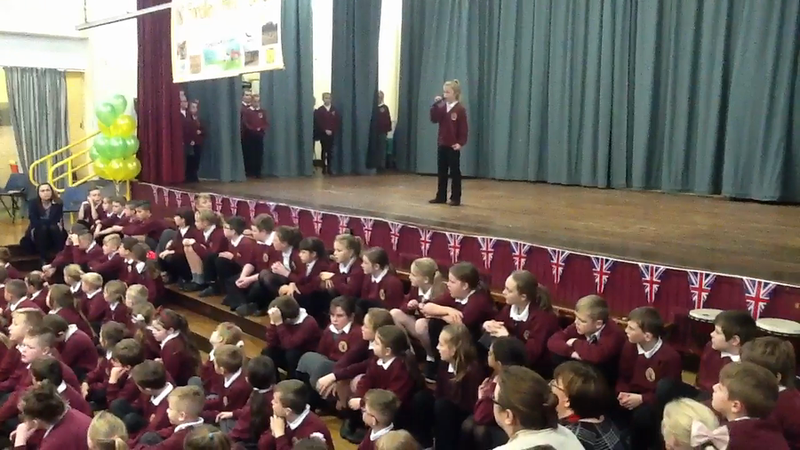 We all stood up and sang our National Anthem, God Save the Queen, for our Brazilian visitors. 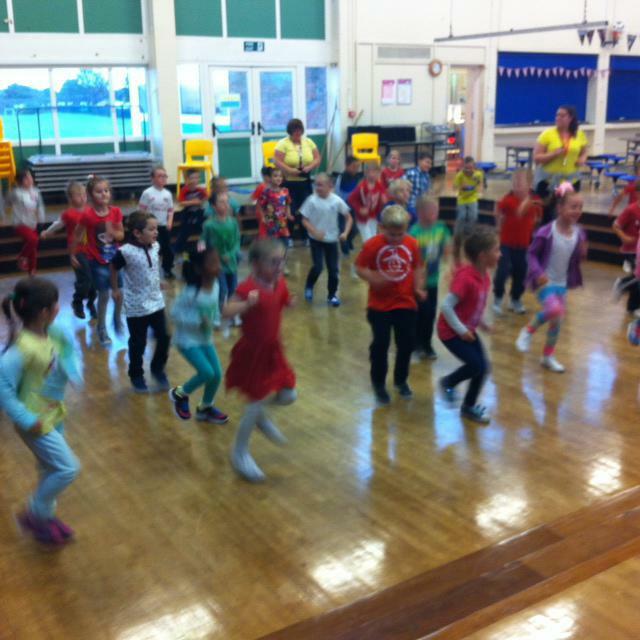 Year 1 performed their energetic samba dance for our Brazilian visitors. 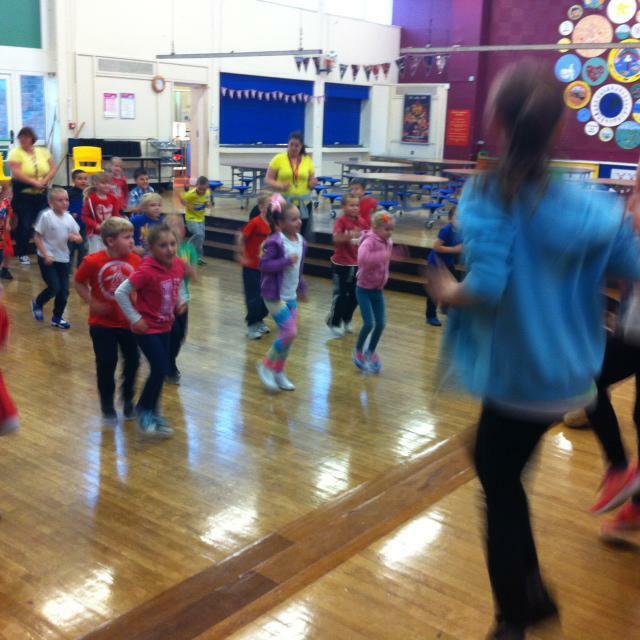 Can you spot the adults dancing too? 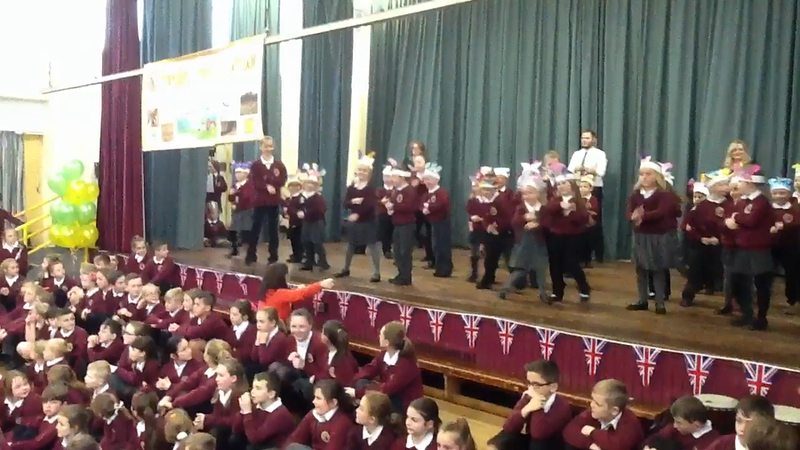 Year 2 performed a typical Geordie song, The Blaydon Races, for our Brazilian visitors. 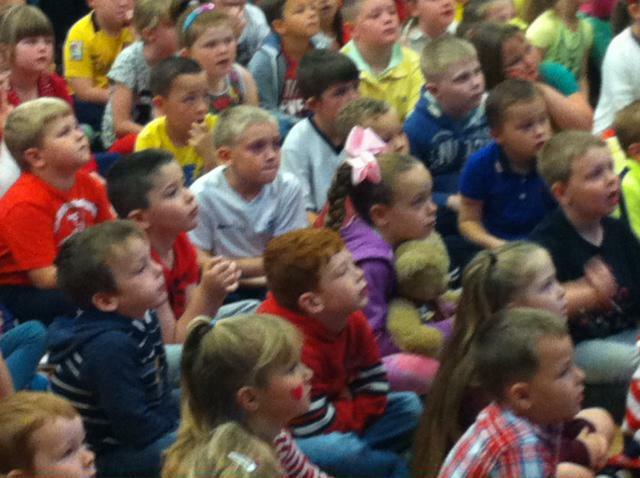 They thought it was very entertaining and couldn't quite understand the words! Our Year 3 and Year 4 children explained to our Brazilian visitors that they had been learning some basic Portuguese and showed how well they can count to 10. 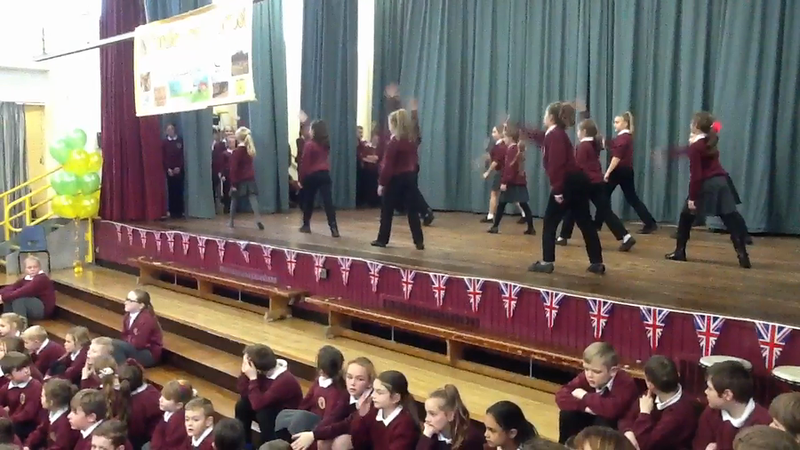 Our performing arts group shared a song and dance for our Brazilian visitors. 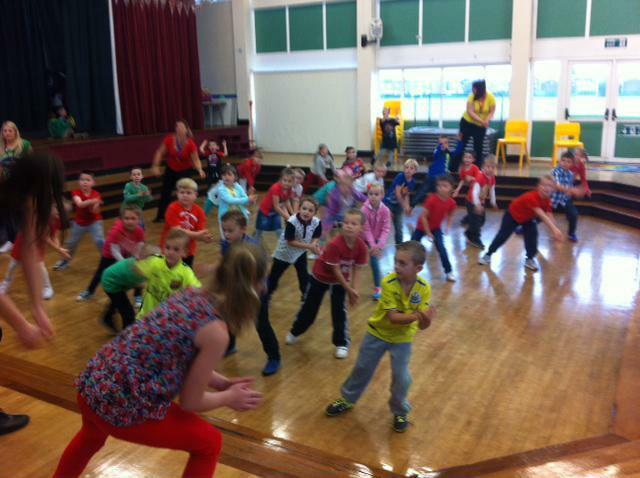 Our dance troupe shared their superb dance skills with our Brazilian visitors. 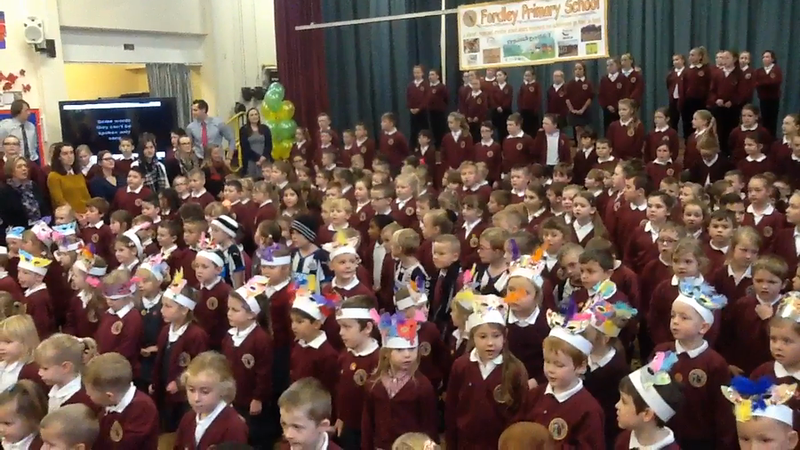 Our whole school sang 'Sing' for our Brazilian visitors. Today's the day that the adventure begins, after so much planning, excitement and anticipation, it is finally time to visit our International Partners in Curitiba, Brazil. we woke up very early today in order to drive down to Durham Tees Valley Airport. At 5.00 we met up with the others teachers, checked our bags in and then at 6.00 it was time to take off! The flight from Durham Tees Valley to Amsterdam was about an hour and a half. Once we landed in Holland we made our way through the airport in preparation for our flight to Brazil. The flight to Rio was just over 11 hour, we managed to pass the time by watching lots of films and eating some delicious food. When we landed it was time to change our watches, Brazilian time was 4 hours behind, but was due to change that night due to day light saving. After collecting our bags it was time to find the hotel, this proved to be very easy as it was upstairs in the hotel. By this time, we were very tried and hungry so we had our first Brazilian snack and went to bed. We could not wait to meet our Brazilian Friends! The day started with a traditional Brazilian breakfast: cheese bread, tropical fruits and coffee. We made our way back to the airport and were shocked to find a very long line of people waiting to check their bags in (200M long or there about). After waiting for a while we were able to test our Portuguese by asking a member of the airline staff for help. He ensured that we got to the front of the line and then we were able to make our way straight to the plane. The flight to Curitiba was just over an hour long. As the plane prepared to land we got our first views of Curitiba! It is a very green area with lots of parks and communal areas with a mixtures of high rise builds and small buildings made from metal. As we walked through the doors of the airport we were greeted by the Brazilian teachers. Maristella brought her daughter who displayed a signed which read 'Welcome Teachers From Newcastle'. This warm welcome continued as we were then taken to a local Brazilian restaurant, where we were treated to a wide range of meats ( including chicken hearts) that were all served on a sword. After the meal we were taken to our hotel in down town Curitiba. On the evening we met Craig (Lion's Roar) and made our way to the match, Atlético Paranaense v Corinthian. The atmosphere was electric outside the stadium, fans were gathering, singing and some were even dancing/ marching around the stadium. Once we entered the stadium we could not believe our eyes. It was an explosion of colours ands sounds! It was so different from St James Park, the fans were dancing to the samba beat and singing a wide range of songs. Despite our team ( Athletico) being defeated 4-1, we had a brilliant time and we met some extremely nice Brazilians. 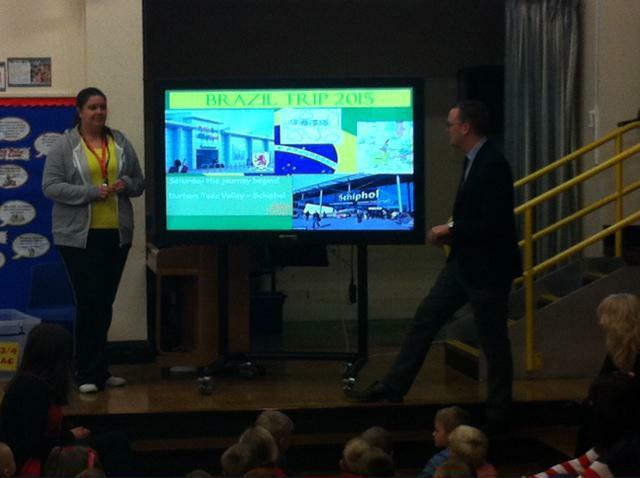 We were all very excited when we woke up this morning, as it was finally time to visit our Brazilian Partner Schools. On the way there we had the chance to visit Curitiba's old town district, it was extremely beautiful and full of colonial buildings. We visited lots of buildings including a cathedral and a traditional Brazilian precious stones shop. Mid afternoon we were taken to a local bakery where we tried coxinhas (a traditional Brazilian snack, made from potatoes, chicken and white sauce). We then set off to Maria Augusta Jouve. When we arrived we could hear the children from the street and it was clear something big was going to happen! 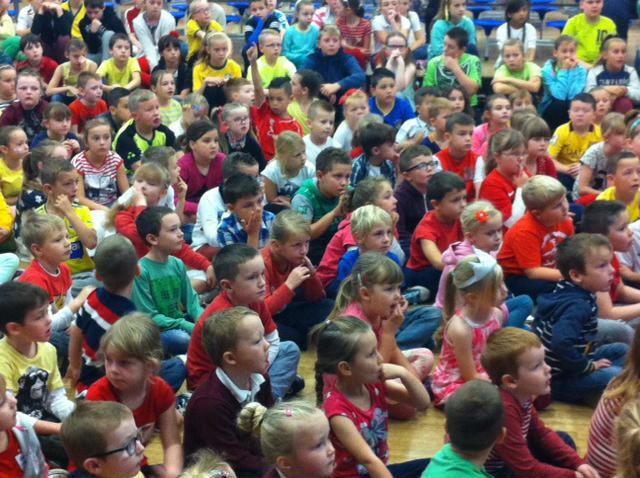 We were taken through to their outdoor area where all the children had assembled. It was an explosion of colour- brightly coloured costumes, decorations and a balloon design that depicted the British and Brazil flags. 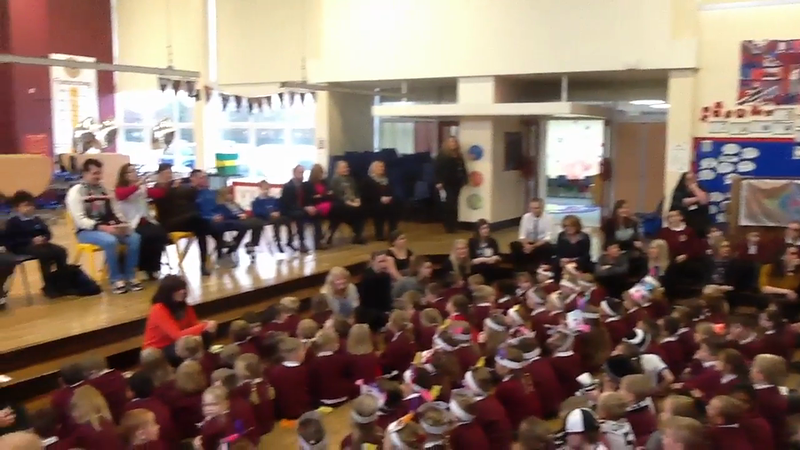 All the teachers were introduced to the school one by one and came through the centre of the crowd, high-fiving the cheering children as they walked.The atmosphere was electric! The children then performed a number songs and dances and we were then taken to a classroom where we had a buffet, mingled with the children and were interviewed by the Brazilian national press. Today we visited our Partner school, Doutel de Andrade. 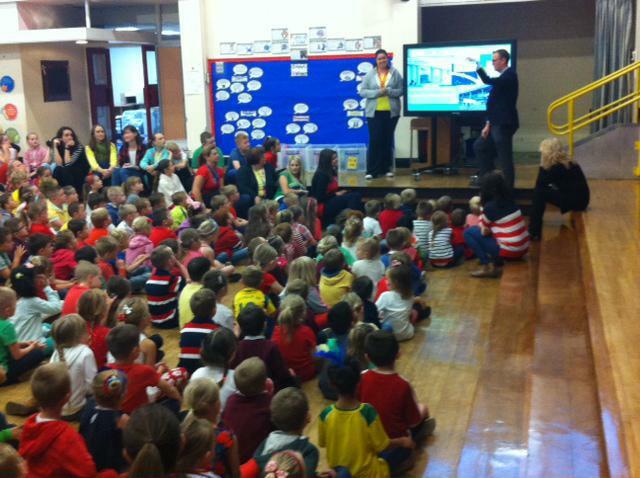 We were welcomed at the entrance by the Director (Head Teacher) and taken to meet the staff. After being introduced to all the staff (including the chess teacher) were were all taken through to their sheltered area. 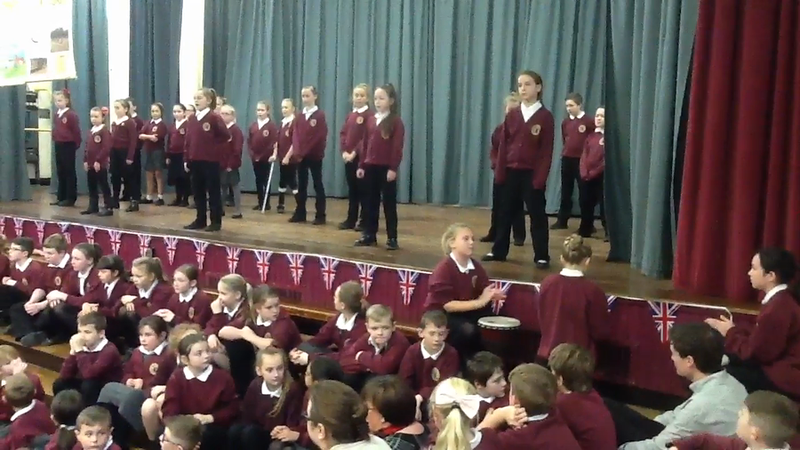 The performance was out of this world, full of enthusiasm and energy. 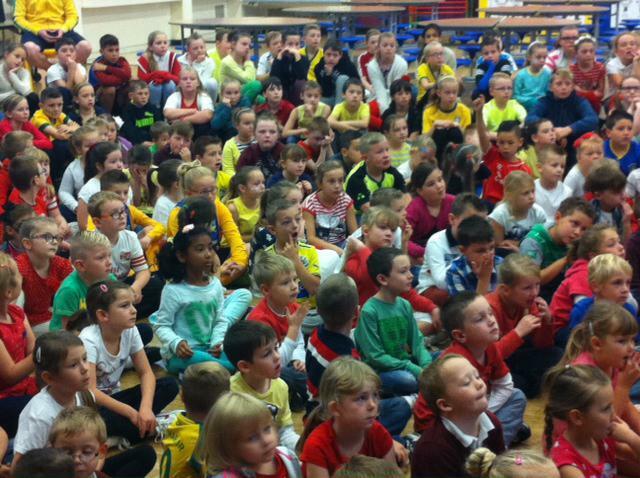 Some children asked to perform solos, we were very impressed! 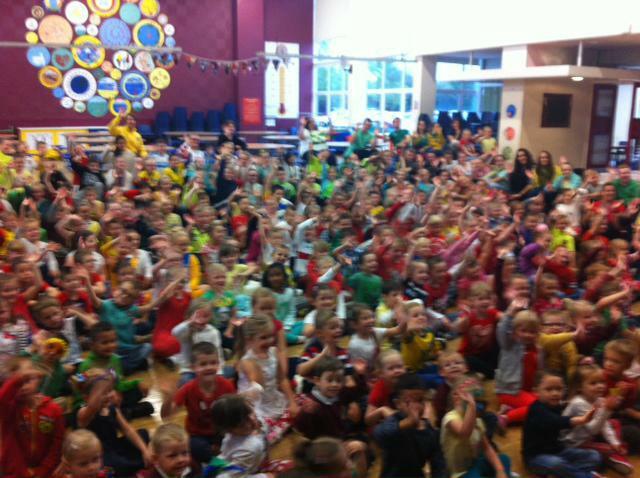 At the end of the performance the children were encouraged to all join in and dance, before long we were surrounded by children, dancing and singing! 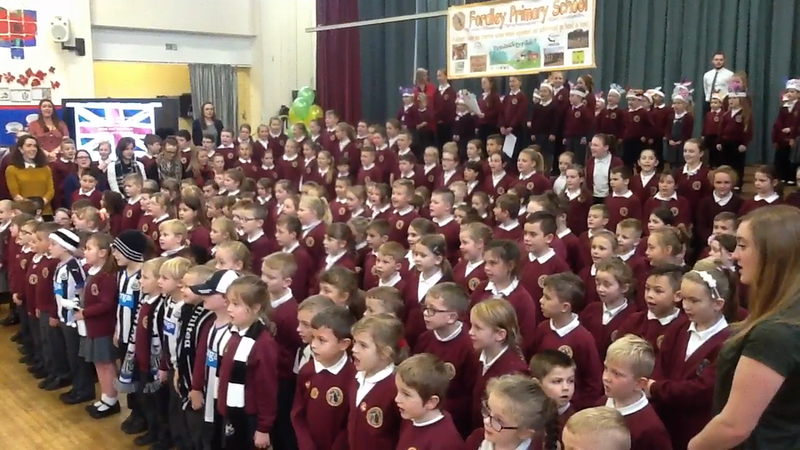 After that we visited St Cuthbert's partner school, yet again we were treated to a sensational performance. 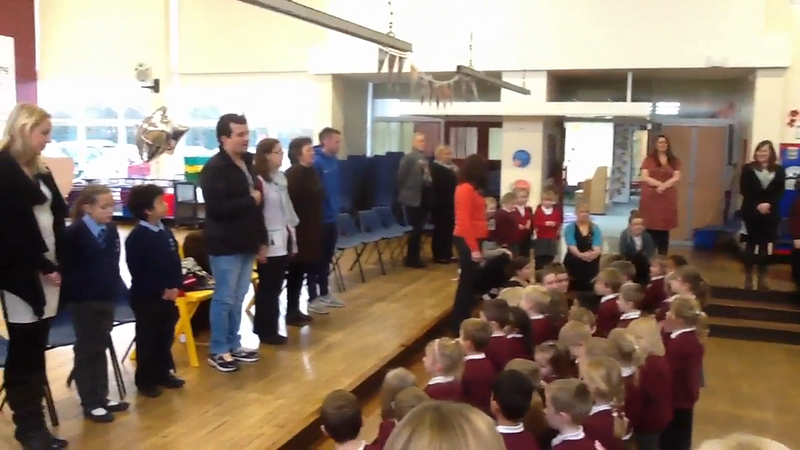 The children all were involved in singing 'Let it Go' in Portuguese and then the grand finale involved a teacher dressing as Elsa and performing the song (which included false snow). What an experience! In the evening we were invited to the home of a teacher from Maria Augusta Jouve. We were treated to a Brazilian feast, including more Coxinas and steak! A local park, which was like a rainforest with lots of exotic plants and wildlife. On the evening another teacher invited us to her homes where we met with all our partner teachers and had a gigantic meal, we were also taught to play a traditional Brazilian card game. 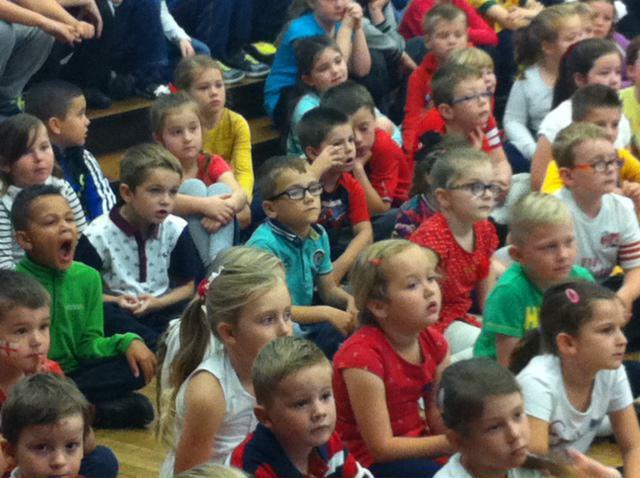 Today we worked at our partner school. 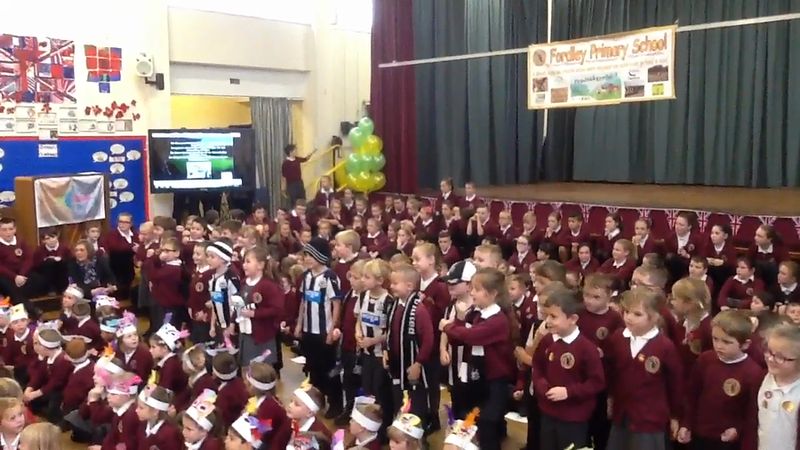 When we arrived we had a Skype conversation with the children at Fordley. 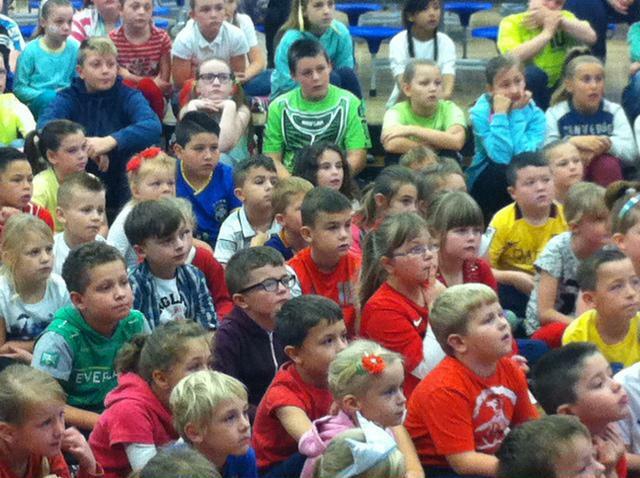 It was amazing to see you all, it was very emotional. 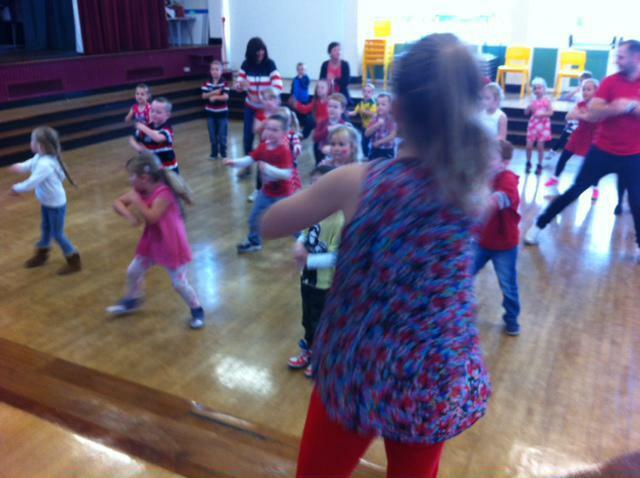 The Brazilian children loved all your work you had prepared and enjoyed joining in with your dancing! 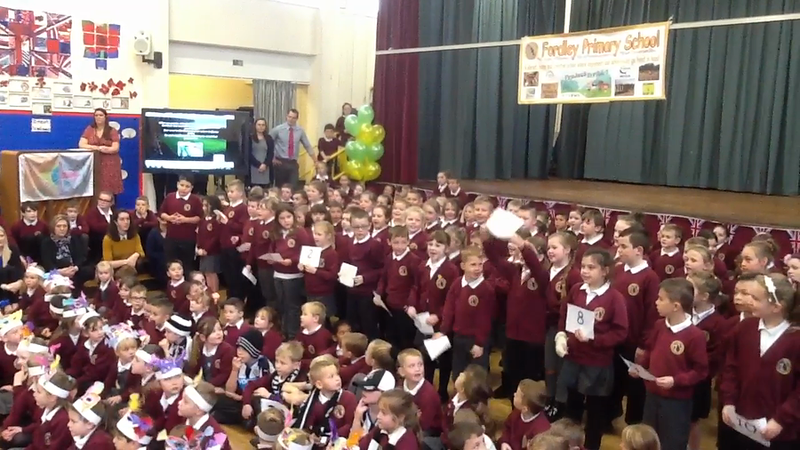 This event was made even more special as we were being filmed by another news Station! So you are all now famous! During the morning we worked with the children: telling them about the Uk ( they loved the masks of the Royal family), learning some basic English terms and reading them a story using an interactive ipad book- they thought this was truly magic! Then the weather went mad! When it rains in Brazil it really rains! The children (and us) had to make our way to the dinning hall, to say we got wet would be an understatement. Today was our last day in Curitiba! 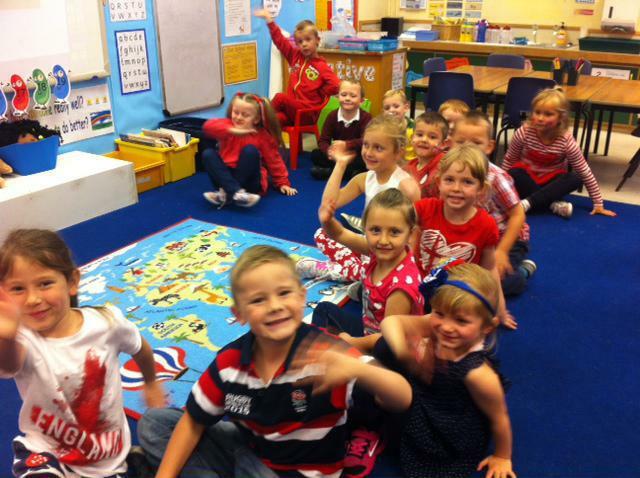 In the morning we went to school where we taught another group of children about the UK. 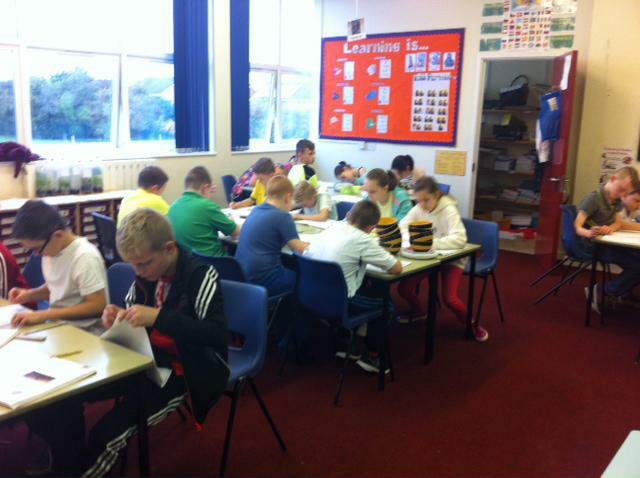 We also showed them how to use some APPs on our IPADS. 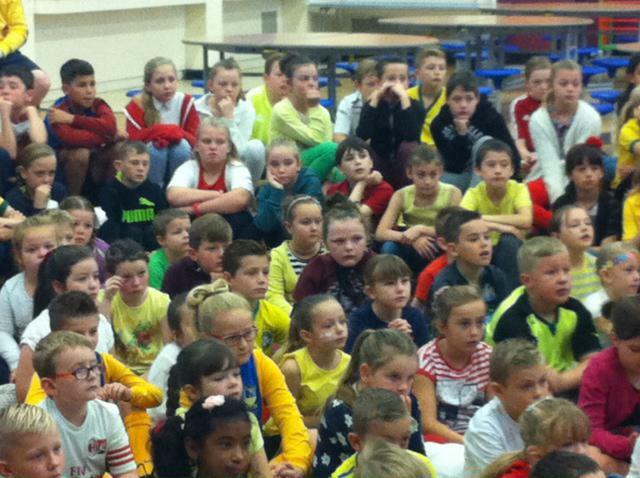 The children were amazed by the interactive book and Morfo APP that made their faces come to life! 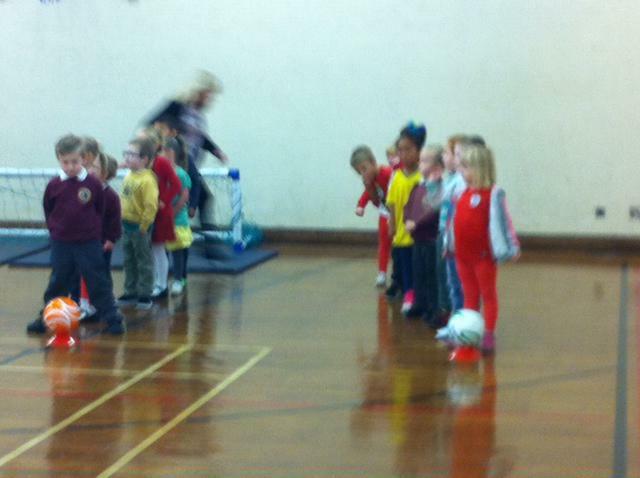 At lunch time we spent more time with the children and Mr Whitehead even had the chance to play football! 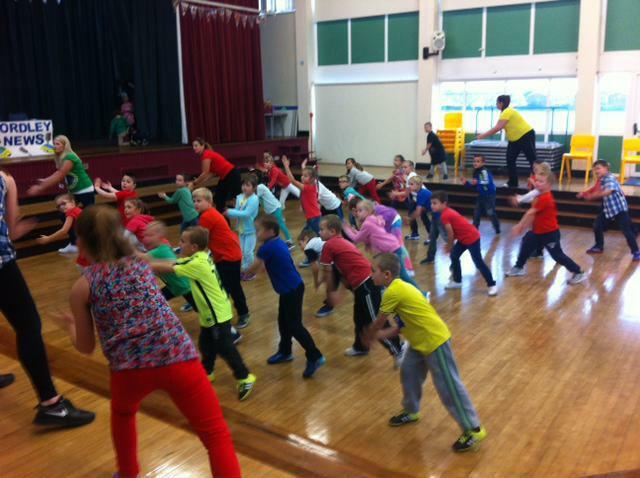 In the afternoon, we went round a number of different classes, this was very interesting! 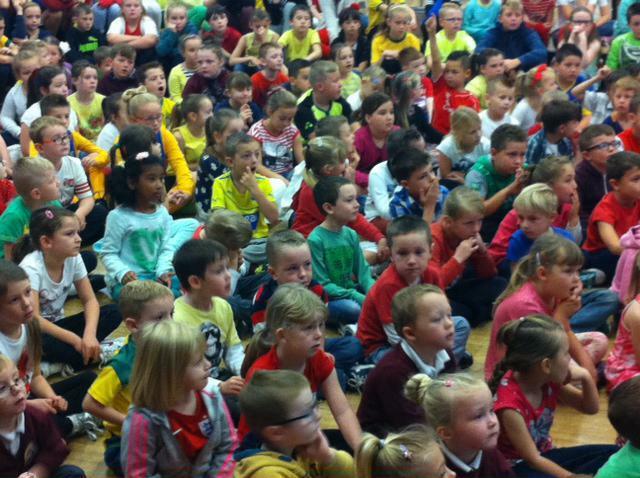 The children all sat in individual seats, their handwriting was amazing and the children also had snacks throughout the day. In the afternoon we visit the Mayor of Curitiba! He asked us lots of questions about what the education system is like in the UK and we gave him presents that represented North Tyneside and the UK. 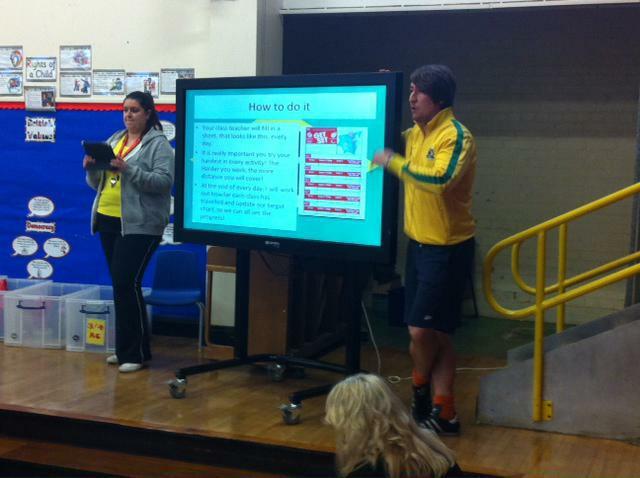 Since September 2013 we have been involved in an international project with schools in Brazil through Project Curitiba. 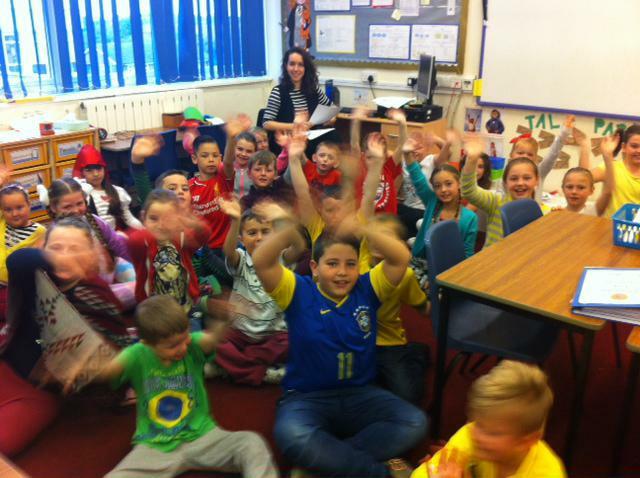 In school we have held Brazil days, and the children have learned about their partner school, Doutel de Andrade, and life in Brazil as well as holding Skype calls to the school to talk with the children and teachers there. In January we applied for Connecting Classrooms funding through the British Council and were awarded a grant to enable teachers from our school to go and spend a week at Doutel de Andrade, and for teachers from Brazil to come and spend a week in our school. This will truly bring our international partnership to life and enhance the learning opportunities for the children at Fordley. 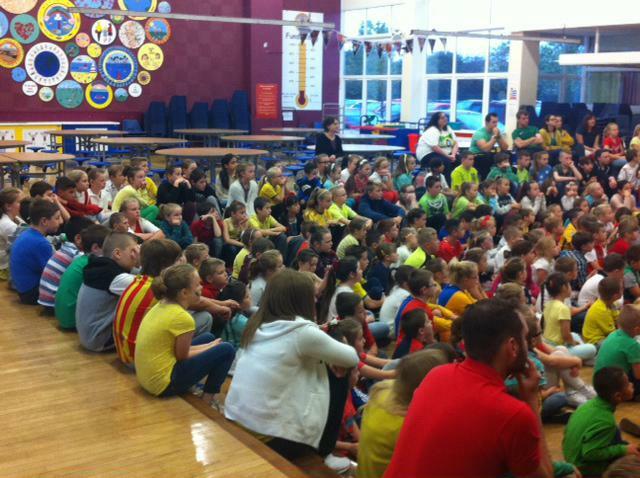 It has also given us the opportunity to make strong links with Holystone Primary and St. Cuthbert’s Primary – both North Tyneside Schools. This is a very exciting partnership for our school to be involved in, and not many schools get this chance. 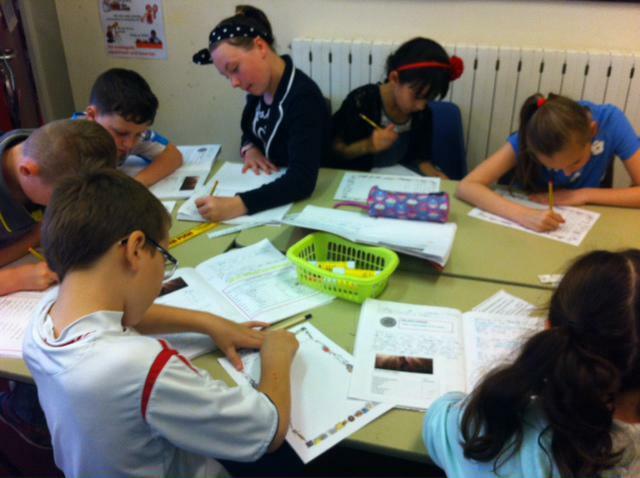 Last week, in school, children were beginning to learn some Portuguese phrases, write about their daily routines and compare them to those of children in Brazil, explore the rainforests and investigate global issues. 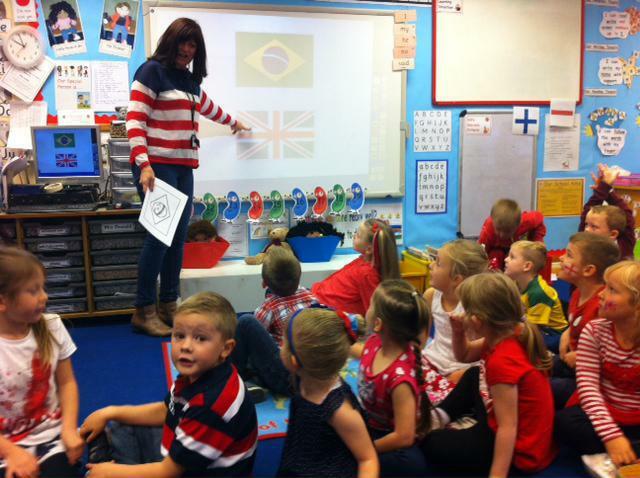 Today children in Year 2 have had the opportunity to spend time with Juliana from Curitiba, and learn more about the language and life in Brazil. We will be hosting another Brazil day on Friday October 16th (more details to follow) to launch our Brazil week, beginning Monday 19th October. 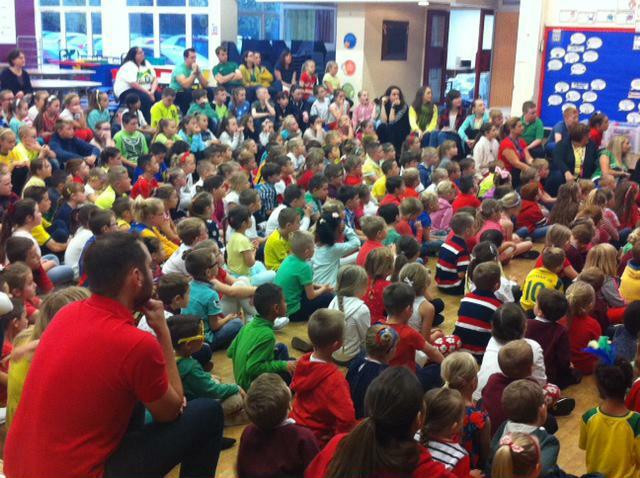 The children will get the opportunity to speak with Mrs Stephens and Mr Whitehead, and the children at Doutel de Andrade, when they are in Brazil. The teachers from Brazil will then be spending the week beginning the 16th November in our schools. During that week, the Brazilian teachers will spend time with each of our classes in school and teach the children about life and schools in Brazil, as well as explaining more about the culture. The teacher from our school in Brazil, Maristela, speaks excellent English so will be able to communicate with the children brilliantly. Before Mrs Stephens and Mr Whitehead go to Brazil, we are hoping to put together some boxes of typically English and Geordie items so they can share them with the children in Brazil. If you have any suggestions, they would be greatly appreciated! 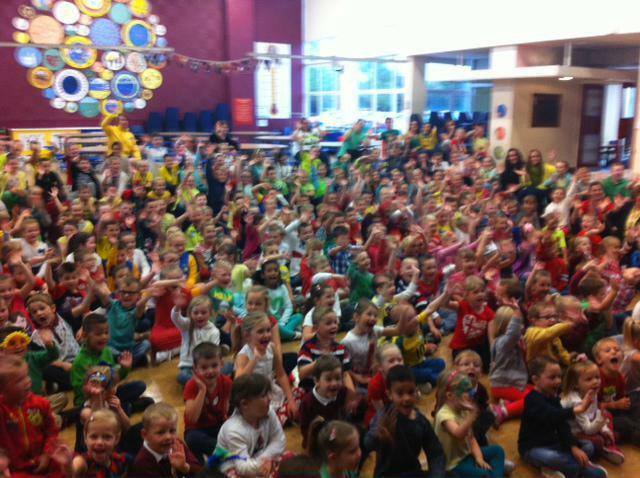 We have had a brilliant response to our Brazilian Flag Competition. Here is the short list! Here is our winning flag! 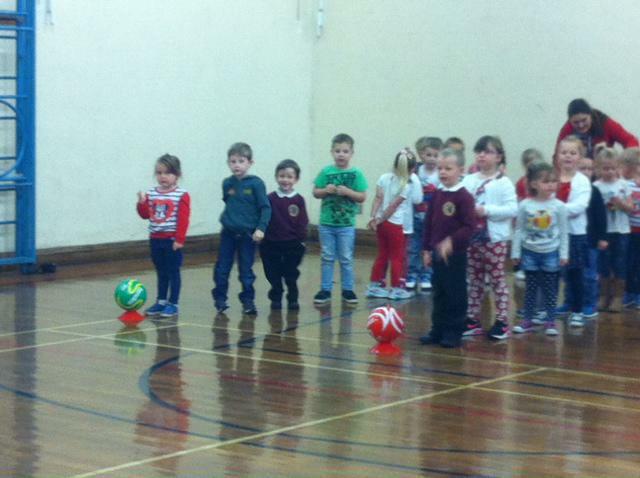 Well done Ellie! Where are Mrs Stephens and Mr Whitehead going? Curitiba is 843.5 km from Rio! Welcome to Curitiba! Want to find out about Curitiba? Watch this fantastic video. Writing postcards to our friends in Curitiba with the help of Juliana! 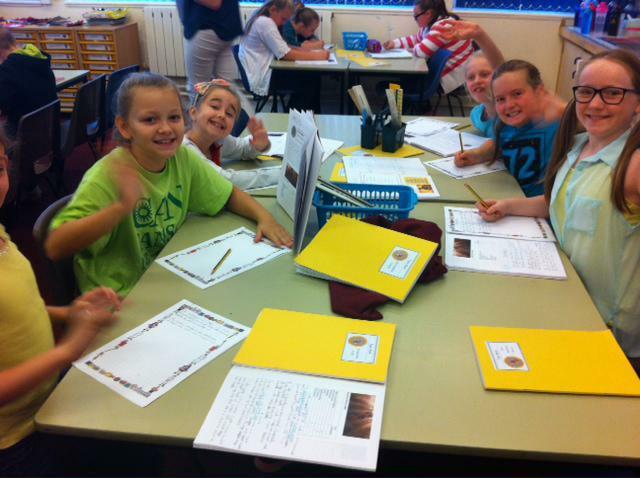 We have also been thinking about our daily routines to send to Brazil. 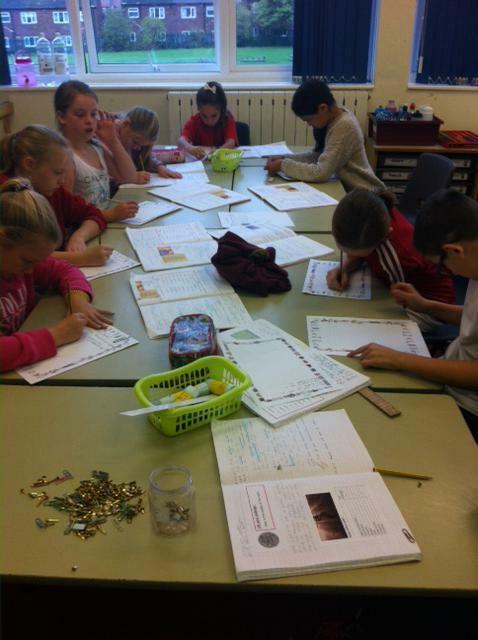 Year 5/6 have been investigating the geography of Brazil, including environmental issues. 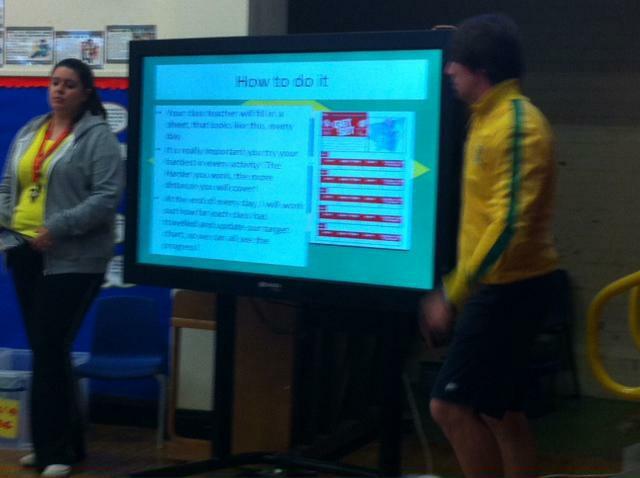 Get a closer look of the Brazil inspired activities in Year 5/6. 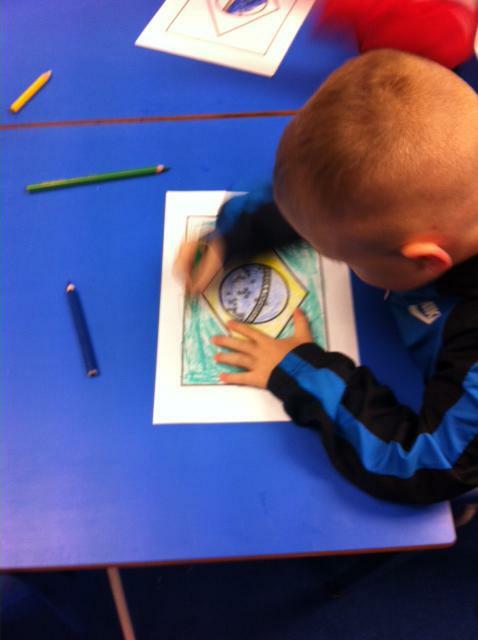 Year 3/4 have been comparing and contrasting the UK and Brazil. 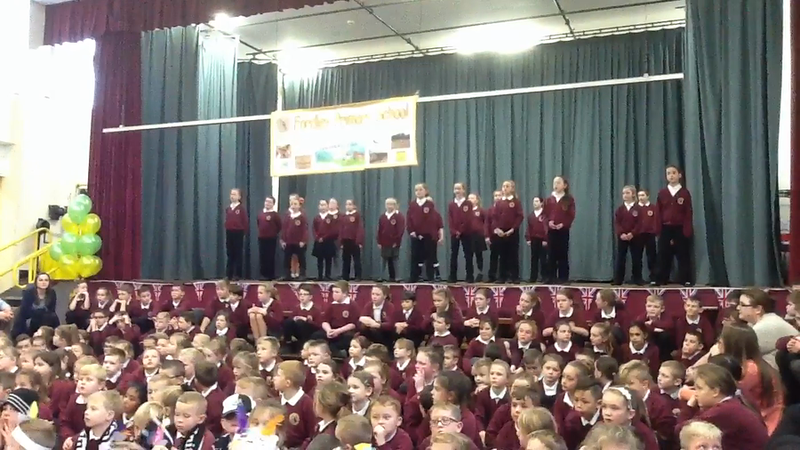 Year 1 have been singing old Mc Donald in Portuguese.